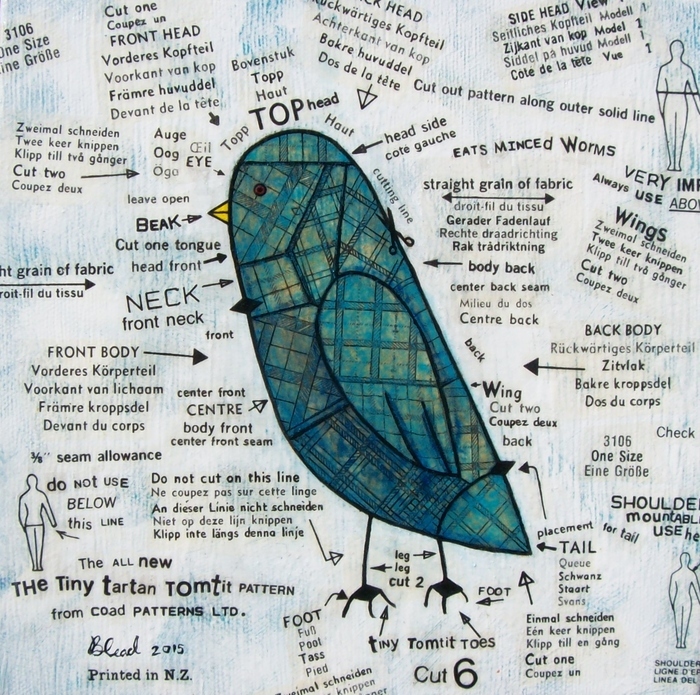 Bonnie Coad is a visual artist from Marlborough NZ who specializes in mixed media collage. She has been exhibiting her work for approximately sixteen years. After being awarded scholarships in 2012 and 2013 she completed a Diploma with honours in Art & Creativity. 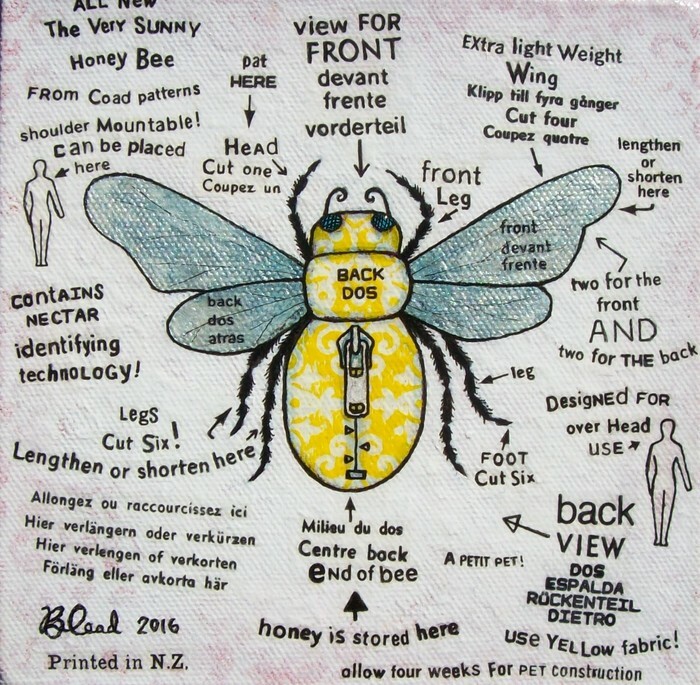 She has gallery representation in several NZ gallery's and exhibits on a regular basis in exhibitions and Art shows. 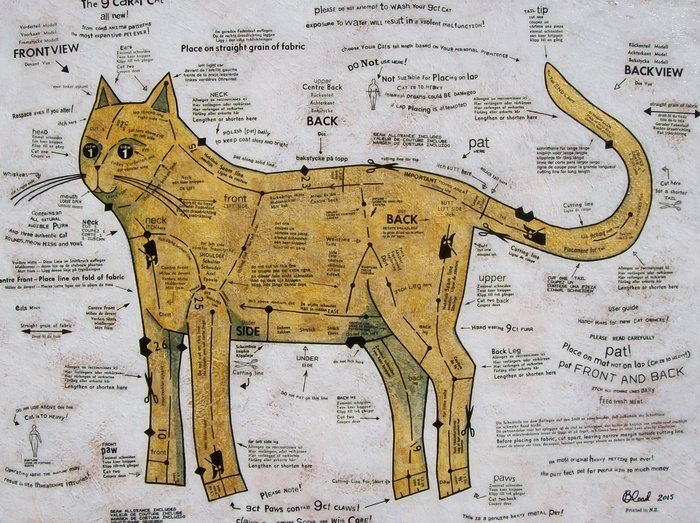 Bonnie’s art is active and dynamic; texture, collage and animals are repeating themes within her body of work. 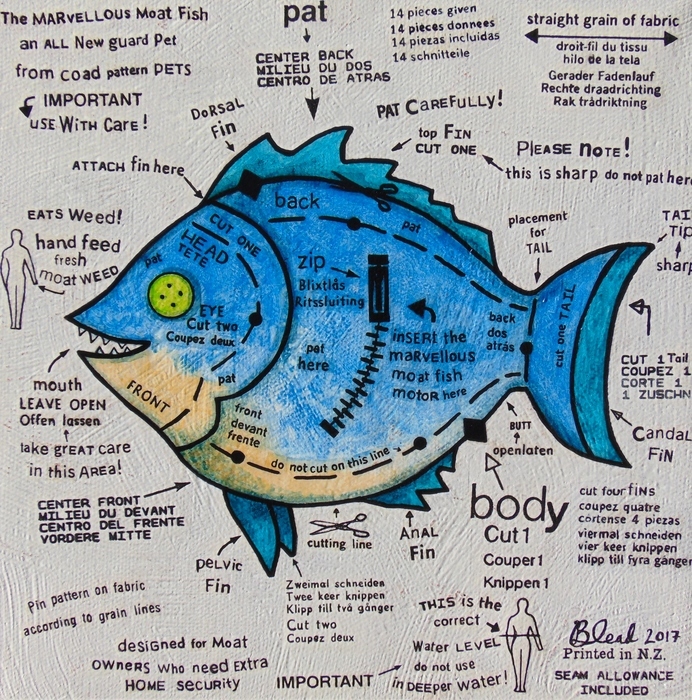 She works chiefly in mixed media collage, creating unique, humorous artworks. A few words about the pattern animal series. Bonnie’s pattern animal series was developed over a period of five years and brings together her love of humour, graphic text and animals. She fine-tuned her technique and approach during the two years of study which she undertook to achieve her Art Diploma. Her work, which is bold, quirky and humorous with a strongly original edge has been described as compelling, engaging and believable. Mixed media collage, made with old sewing patterns and my own hand made collage papers. The Nine Carat cat is the purrrfect pet for people who have to much money! Small pattern pet 15 x 15 cm stretched canvas. Cut six tiny tartan toes! 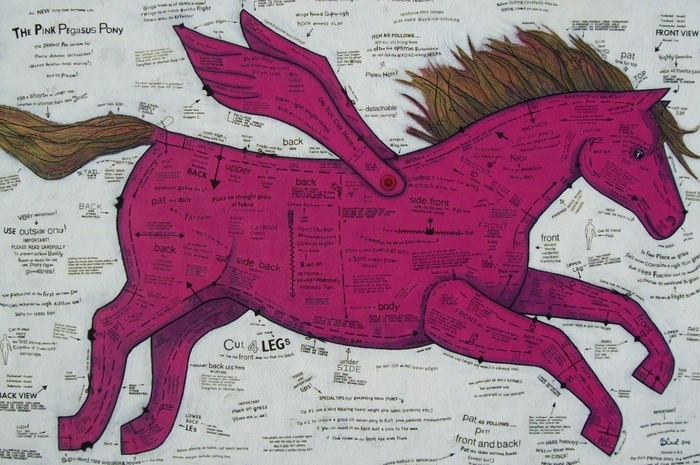 The pattern pet for equine aviation enthusiasts!